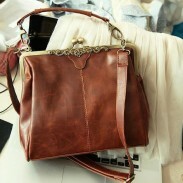 Fashion Leisure Simple Handbag can be used to the handbag and shoulder bag.It is a prefect gift for her. 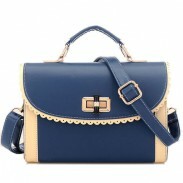 It is a unique and simple Handbag.It is made of soft and comfortable leather which is the medium size and 3 Inner bags. when you carry the Fashion Leisure Simple Handbag in the street. You will become to the fashion star. Love this bag. Durable material. Very nice bag. My mom loves hers. It's made very well, and durable. I’m in Love with this Bag it’s the perfect size for me!